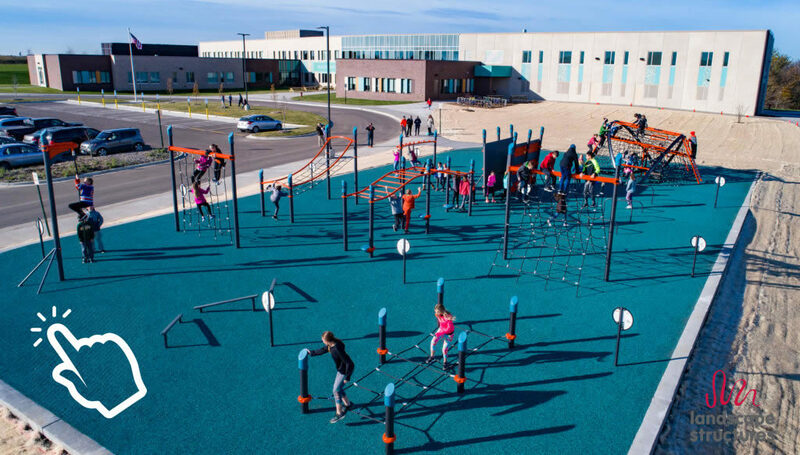 Landscape Structures, Inc. leads the way in encouraging kids to play outdoors, engaging their imaginations and bringing children of all abilities together to play. Keeping Kids ages 5-12 years old fit and challenged! 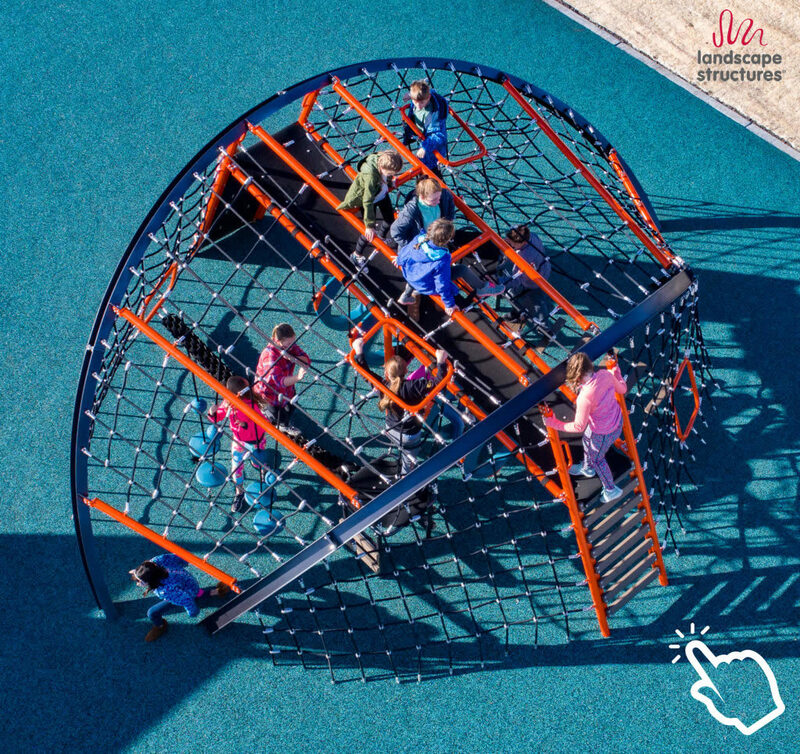 Introducing a new small foot print climbing structures from Landscape Structures®. 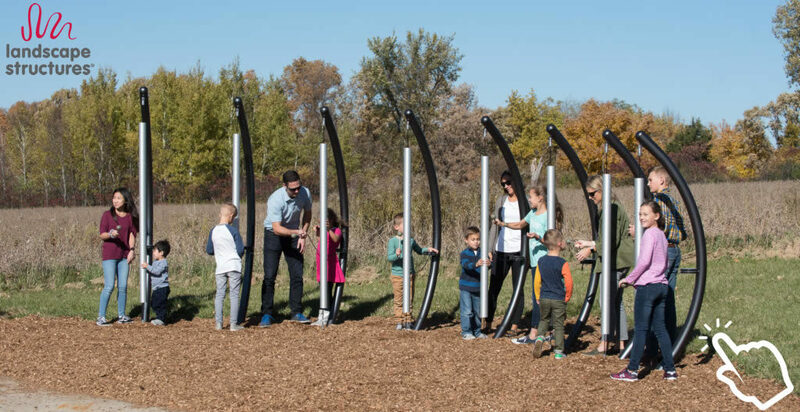 Kids can climb, crawl and explore inside and outside this unique playground equipment. 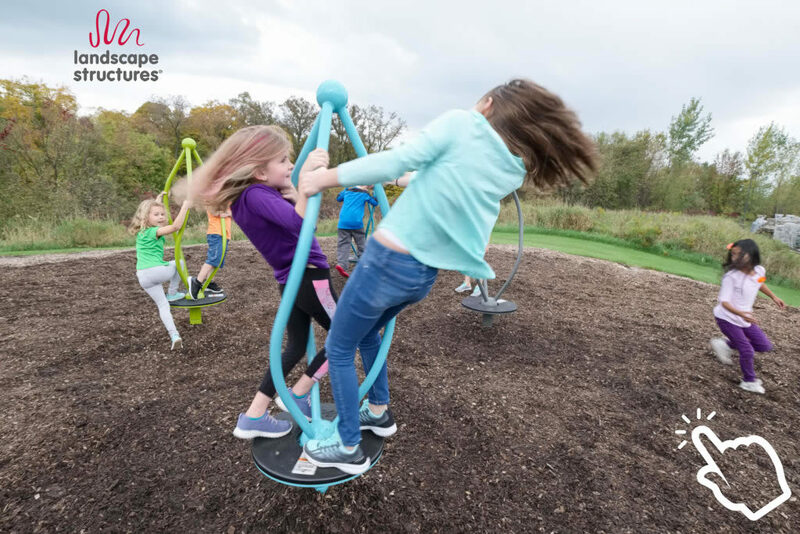 This freestanding spinner is a beautiful and aesthetically pleasing addition to any playground. 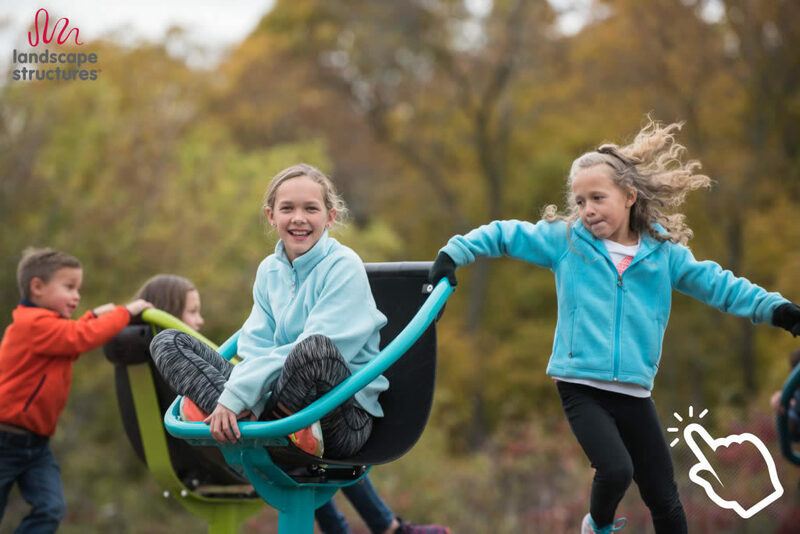 The Curva™ can accommodate one to three children and is fun for children 5-12 years old. This relaxing spinner is ada accessible and helps children with their vestibular stimulation. It is also a very comfortable ride! 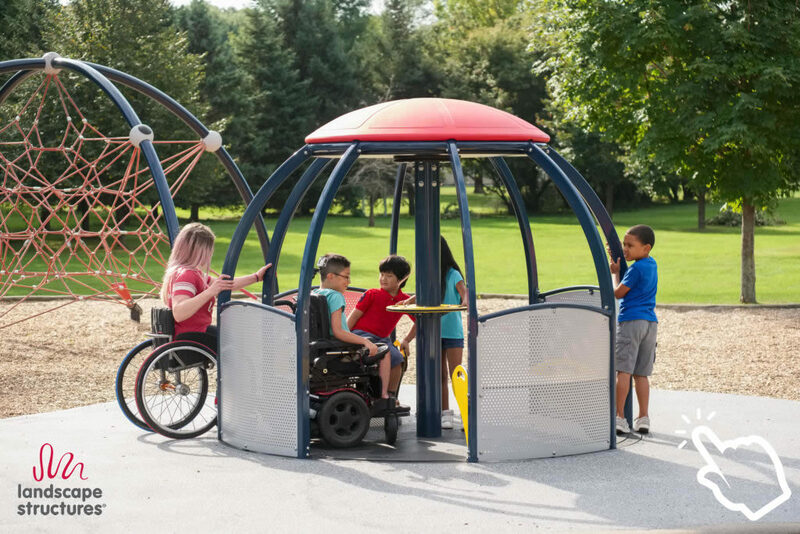 This merry-go-round offers plenty of room for everyone to play – including those in wheelchairs. Once everyone is in the spinner they are facing each other, so everyone can interact together! 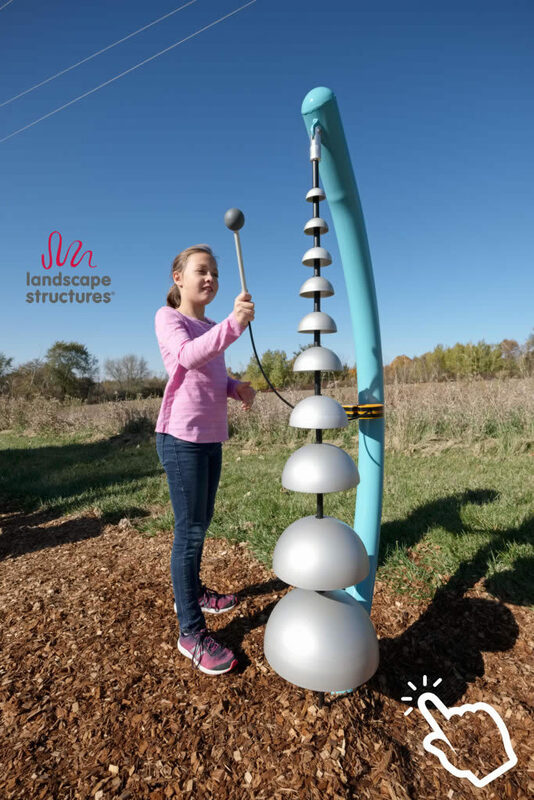 A new addition to the Rhapsody® musical playground equipment line! Vibra chimes are a cooperative addition to any site. Add one or all eight different tonal notes. The joy of making music is felt by all ages. The Tongue Drum includes six distinct notes. 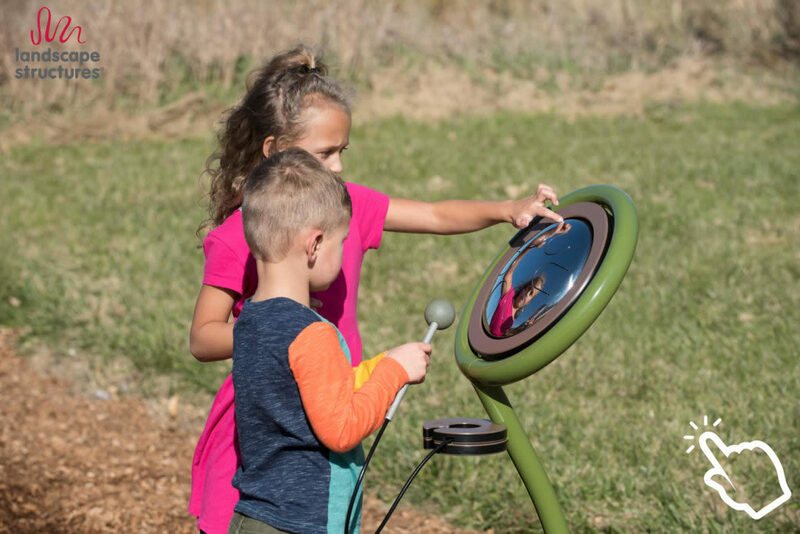 Users of all ages and abilities can experiment with striking different parts of the drum to create different sounds or play a tune. The Cascata™ Bells combine ten bells of different tones for auditory and visual pleasure. Play one at a time with the attached mallet, or slide the mallet along all the bells for a fun music-making experience.